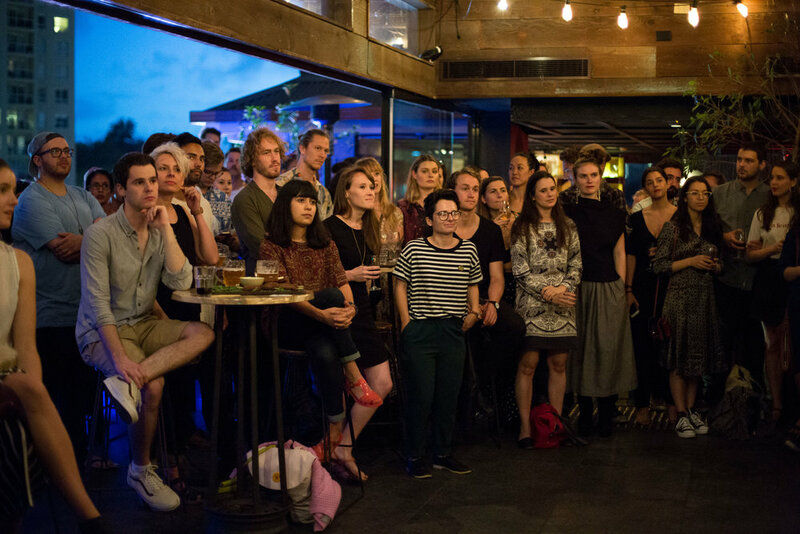 With your help, we can continue to invest in Sydney’s arts landscape with time, resources, and support in a way that will provide sustainability for artists and companies, and invest in the future generation of artists and their work. 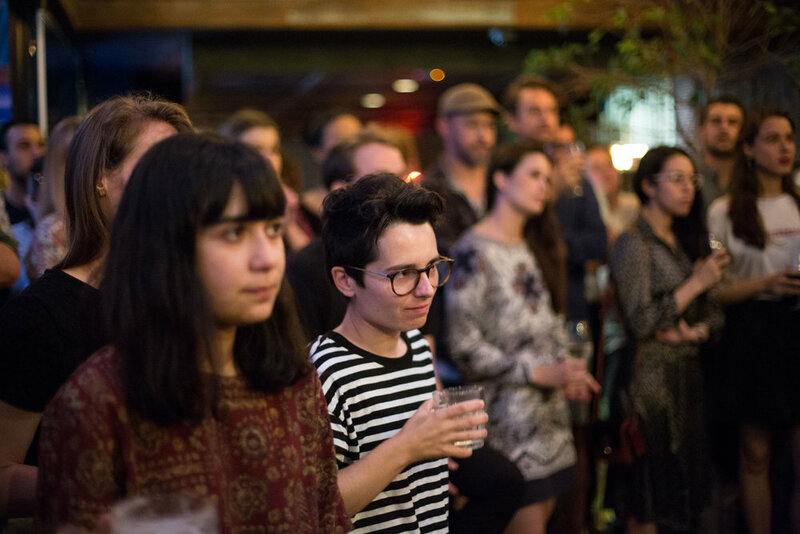 We’re committed to providing opportunity and support to some of Sydney’s most exciting emerging artists. 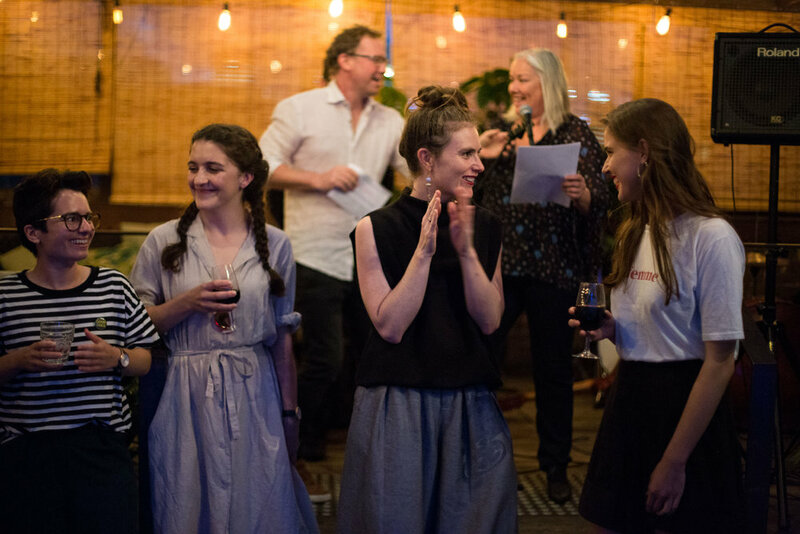 With your support, we can continue to invest in Sydney’s arts landscape with time, resources, and support in a way that will provide sustainability for artists and companies, and invest in the future generation of artists and their work. JATINGA is a bAKEHOUSE commission, a part of a broader project of arts and social justice in Kamathipura, Mumbai. It has grown out of workshops and developments that Suzanne Millar has been running in Mumbai since 2014. 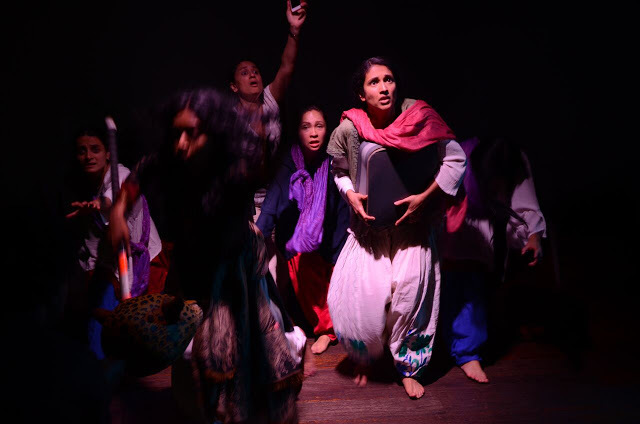 The play was initially written in Hindi by Purva Naresh, and developed by bAKEHOUSE in Mumbai during multiple visits and workshops 2015 – 2016. bAKEHOUSE worked with our Indian-Australian cast and our company dramaturg in Sydney 2016 – 2017 to arrive at the final English translation. Our season at KXT is the world premiere. bAKEHOUSE retains production rights to this show. 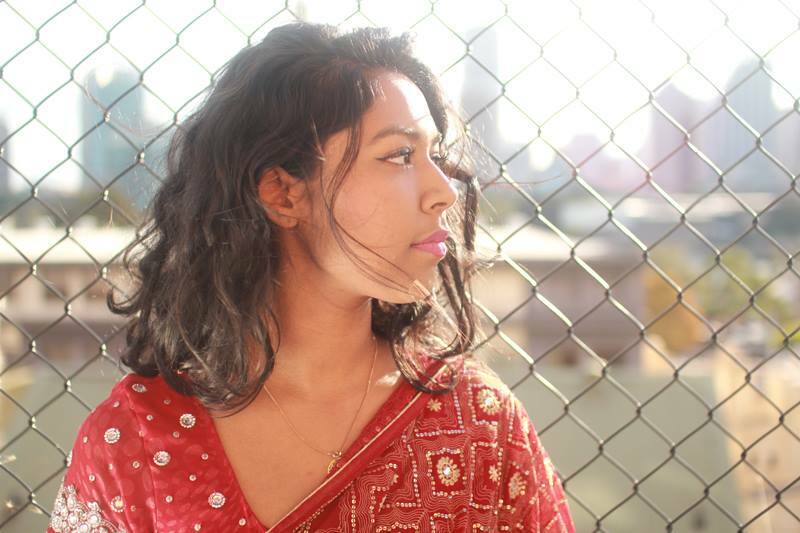 bACE: a cultural and artistic exchange, connecting artists from Sydney & Mumbai, facilitating ongoing international partnership. to date: 4 Sydney based artists funded in Mumbai; 4 Mumbai based artists funded in Sydney; Planning for an annual scholarship for 2 young artists from each city to travel, work and meet with artists. With Sapna Bhavnani, Faezeh Jalali, Suz Mawer, Monroe Reimers, Trishala Sharma, Teresa Tate Britten, Karina Bracken, Jarrod Crellin, Amrik Tumber, Bali Padda, Sheila Kumar, Claudette Clark. Our season of DRESDEN is a celebration of collaboration. at bAKEHOUSE we believe artistry needs time. We've been kicking around the indie scene long enough to know that the race from bump in to tech and then opening is always stressful, and there's just never enough time to get things exactly as you might like them, before bringing industry and media into the room. And we put our money where our mouth is: bAKEHOUSE subsidises hire of KXT through the first week of a company's residency, on the condition they open in their second* This puts companies in a position where they can run 4, 5 and sometimes 6 previews before Opening Night - unheard of in Sydney's indie scene. the benefits are many and important: by Opening Night they've found their sweet spot and reviews and word of mouth reflect this. And industry and media know that by the time they head up to the rooftop for their glass of Left Bank wine** the show they saw is the same one everyone else will see. So why would we rush in a month of short seasons of new work, new companies and new artists? There are just not enough good spaces in Sydney for new companies and new artists to strut their stuff. Sure, there's a growing number of pop-ups and re-purposed venues, little galleries, back rooms in pubs, halls. But its almost impossible to make your work look good when all you've got is a couple of floods and a smoke machine. New companies need something they can hang their hat on: a kind of calling-card for their next show. And like everything in Sydney: if your show doesn't look good its prob not going to be taken too seriously. Plus a short season limits financial risk and new companies don't have a lot of resources. BEING DEAD (DON QUIXOTE) is written and presented by Kerith Manderson-Galvin, with Unofficial Kerith Fanclub + MKA Theatre of New Works in the driving seat. These are companies that have a strong presence in Melbourne, presenting bold experimental work. We want Sydney to have more of that, and of them. ARE WE AWAKE by Charles O'Grady had its start as part of the exciting New Fitz program, showcasing the quite brilliant Daniel Monks and lovingly taking a blowtorch to our notions of disability, ability and queerness. And it needed to get a second look. This time round they had a set, and lighting by Martin Kinnane with sound design by Benjamin Freeman, and it paid off in spades. 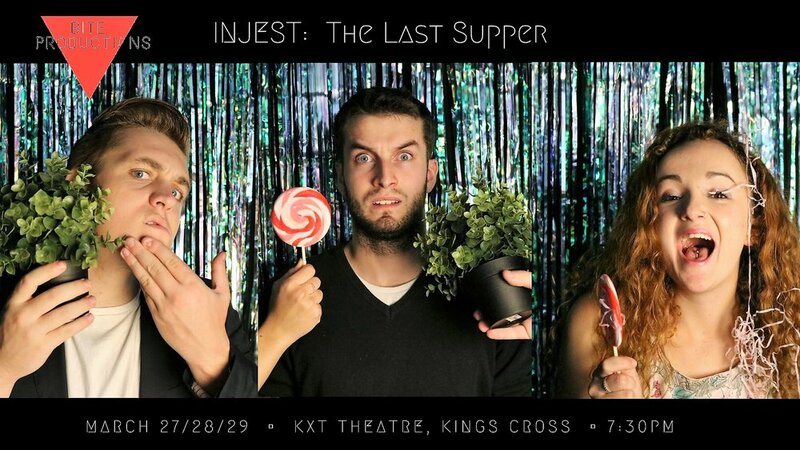 INJEST, THE LAST SUPPER is written by the fabulous Georgina Adamson, working with our Step Up team member Eve Beck, as Bite Productions. This little unit has a big new project at the end of the year and didn't want to let the indie circus pass them by in 2018. Plus, we really liked the idea of theatre for people who don't go to theatre. THE CAROUSEL by Pippa Ellams, is directed by Hannah Goodwin. Since starting at Shopfront its been on the road: off to a shared season with Downstairs Belvoir and a showcase at Merrigong. It needed to wrap up the tour in Sydney and we wanted it to close out the Step Up season. And then there's the UPSTART program, a trial of a cool little idea headed up by Jessica Adie, a production development of Jon Brittain's Rotterdam led by Rebecca Blake, just to see if it was going to work, and another look at a new play Luke Carson has been working on. *We're super strict about the preview subsidy: as many previews as you like in week 1, but if you don't open in week 2, you don't get our money. **Opening Nights at KXT are supported by KX Hotel & Left Bank wines. Every production at KXT in the Step Up program has been informally developed and mentored by Suzanne Millar and John Harrison, co-artistic directors of bAKEHOUSE, and Andrew McMartin, the company’s production manager and resident stage manager. As senior artists, they believe it’s vital to invest in the next generation and new work, literally “stepping it up”. We’ve seen several attempts to create “immersive” promenade theatre in Sydney in recent years. Some have worked. 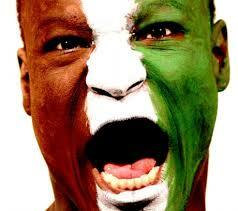 Others have fallen down because the narrative and dramatic aspects dwindled as the performance unfolded. But Visiting Hours gets it right. Here, for once, is a show that engages its audience emotionally, not just viscerally, or with the short-lived appeal of novelty. is sydney's indie scene too conservative? Is the conservative reputation fact or furphy? Suzanne has a few extra thoughts: RISK and money go hand in hand. If you’re investing in risky work, then you’ve got to spend money. If you don’t spend money your risky work goes unseen and unnoticed, or worse – critical response is impacted by low budget production values, and audience stay away. We haven’t yet covered the cost of staging this work. after a whirlwind two years, during which level 2 of the hotel was gutted, KXT was built, relationships and partnerships set up with the hotel, procedures put in place and a whole heap of documents written up, we find ourselves in the heart of the city, in the heart of Kings Cross. In the last 2 years more than 40 productions have been staged at KXT, companies have worked with more than 400 cast, crew and creatives, and around 25,000 people have walked through the doors. 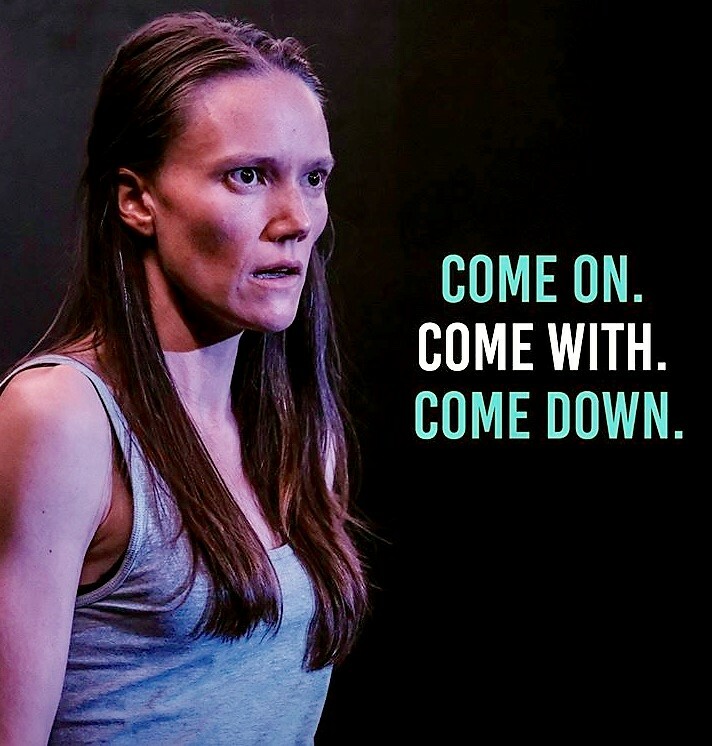 We’ve had 6 sold out seasons, performances of theatre, dance and music, with multiple festivals, art exhibitions, events and panels, and plays that have toured and won awards. We want to acknowledge and extend our most heartfelt thanks to those companies who have over the past 2 years, worked with us to take on the risky business of independent theatre, in a new venue in a new arts precinct. So. What does KXT2018 hold? we’ll be supporting and assisting this team as they develop new work, build new partnerships and collaborations and take on the world. 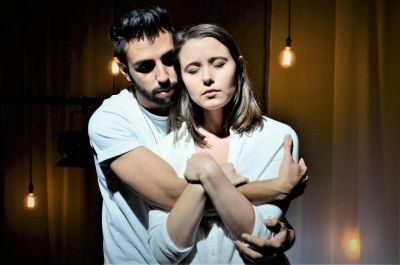 in addition we are partnered with CASULA POWERHOUSE THEATRE to provide a writer’s residency to a promising young playwright from the Liverpool District, who will spend time between the Powerhouse and KXT, as we work together to develop a new play to be staged at both venues. We want to thanks Lilian Silk for her work on this project. bAKEHOUSE’s long experience with grassrots community collaborations continues when we partner with Cana Community to present StoryLines, giving voice to the most marginalised as they transition from prisons, addictions, violence and crime, and make their way back into an often unforgiving and frightening world. For this year long project we will be working with young writers and actors with the support of NSW Governor David Hurley to provide a platform for our city’s unheard voices. And we will continue our work with Katie Pollock on Human Activity a part of the bAKEHOUSE Artistic and Cultural Exchange and is her response to her time in Mumbai for the first read and development of Jatinga. 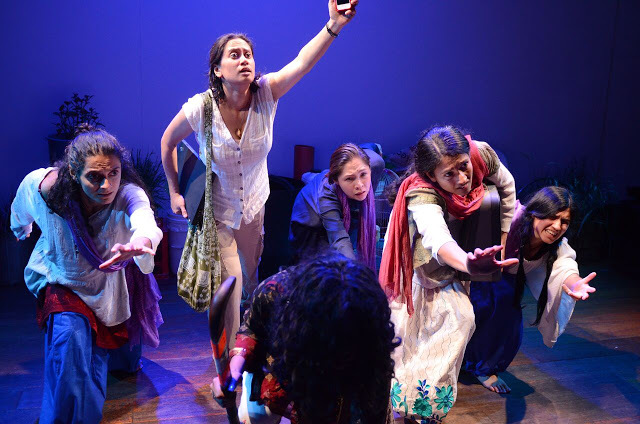 Its an extraordinary play, a collision and intersection of the fantastic worlds of Mumbai and Sydney.